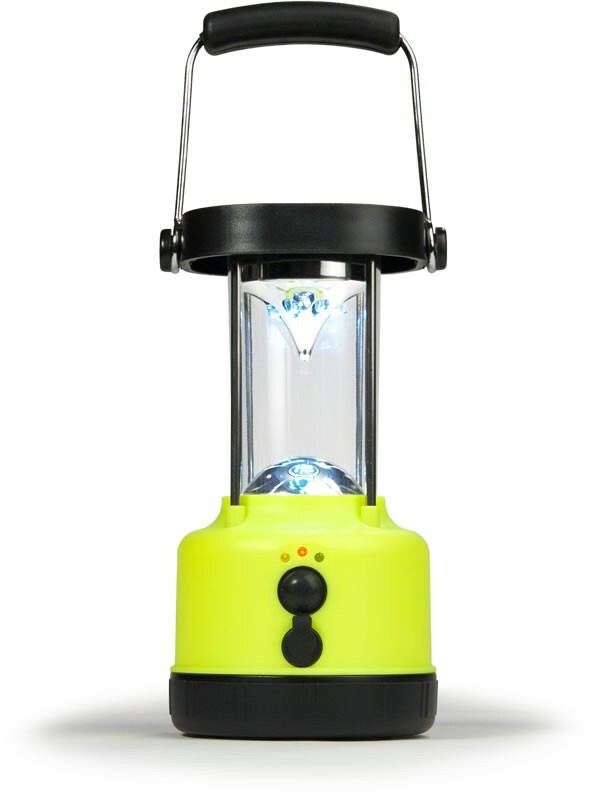 At 1lb 2oz, 7.5 inches tall x 3.75 inches wide, our Camping Lantern will draw a crowd and provide light enough for a family outing, a sizable tent or emergency use when needed. The Hybrid Lantern can be charged repeatedly and will impress you with 6 hours of bright light when fully charged. It is water resistant, it floats and features an ergonomic rubber handle and base. Four AA backup batteries are included in addition to the 3 in 1 charger. It can be stored for years and is always ready to shine! Packaged Dimensions: 5.75" x 5.75" x 9"